QMotion offer battery powered roller blinds with a 5 year battery life and manual control. These blinds where fitted in Hove by Brite Blinds. They are mounted in a brushed silver cassette with a simple white light filtering fabric. For more information visit our QMotion page here. 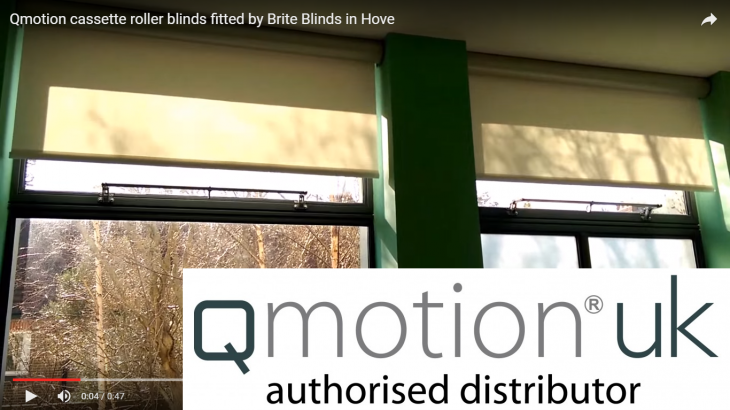 Blinds, Brighton, Motorised electric blinds, QMotion, Roller blinds, Sussex android blinds, battery powered blinds, battery powered roller blind, blinds, brighton, electric roller blind, electric roller blinds, Gadget Show, hove, iOS blinds, motorised blinds, Qmotion, QMotion UK, worthing. permalink.